If the power is high enough regen the braking energy back into the mains via a regen module. When you use DC Injection Braking, once you initiate the braking, you are usually committed until it stops. Only then would you be able to start back up again. With a VFD and dynamic braking, you always have control over the motor speed and would easily be able to start back up in the middle of a stopping sequence if needed. However, that all depends on how you are running the motor now. 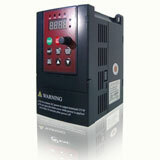 If you do not already have this motor on a VFD, then adding the VFD costs more money, than just adding DC injection. 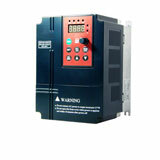 Many micro variable speed drives offer DC Injection braking as standard and also have the dynamic braking circuit built in at a very affordable cost. If the drive has the dynamic braking circuit all that is needed is the brake resistor. It should also be stated that DC Injection braking is not the answer to all braking requirements and may not be sufficient to stop the load. If the application requires a high % of DC Injection, above 20%, this causes stress on the motor and will effect the life of the motor. DC Injection is good when all that is needed is a small amount of injection braking to stop the load. When using a VFD the amount, duration, and turn on time during the decel should all be settable functions. Basically, it depends on brand and power and how old has the VFD due to the component type, meaning for example that due to the fact that now cabinet drive are very compact the component warm is higher than for a drive of 15 years before.